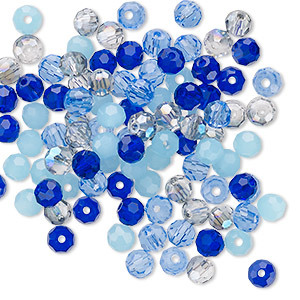 Bead mix, glass, blues, 8mm faceted round. Sold per pkg of 40. The blues collection offers a convenient, ready-to-use color mix for designers, featuring a variety of opaque, translucent and frosted shades. Colors can include opaque cobalt, light blue, frosted light blue, clear AB and blue AB. 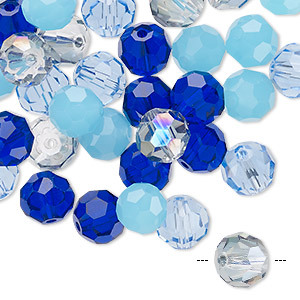 Bead mix, Celestial Crystal®, blues, 7.5-8mm faceted round. Sold per pkg of 40. 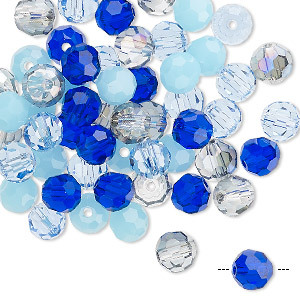 Bead mix, Celestial Crystal®, blues, 4-4.5mm faceted round. Sold per pkg of 100. 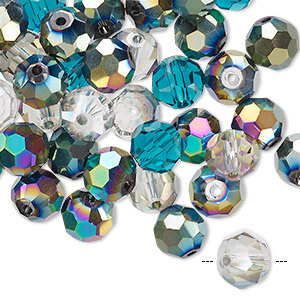 Bead mix, Celestial Crystal®, blues, 7-8mm faceted bicone. Sold per pkg of 40. 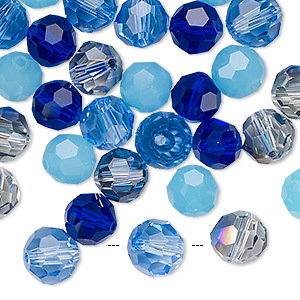 Bead mix, Celestial Crystal®, blues, 6mm faceted bicone. Sold per pkg of 60. 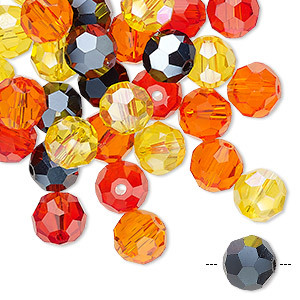 Bead mix, Celestial Crystal®, fall, 7.5-8mm faceted round. Sold per pkg of 40. 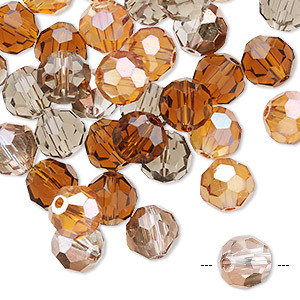 Bead mix, Celestial Crystal®, ocean, 7.5-8mm faceted round. Sold per pkg of 40. 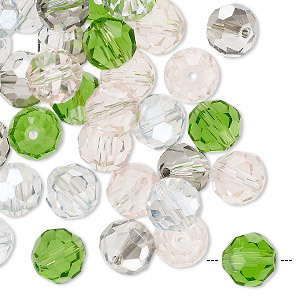 Bead mix, Celestial Crystal®, spring, 7.5-8mm faceted round. Sold per pkg of 40. 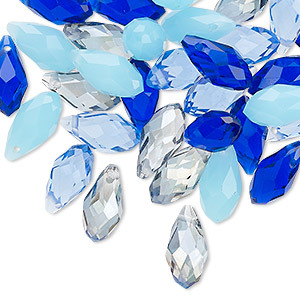 Drop mix, Celestial Crystal®, blues, 11.5x5.5mm-12.5x6mm faceted briolette. Sold per pkg of 40.